to Deaf educators. Britta Hansen, director of the Deaf's Center for Total Communication, is interpreting right. 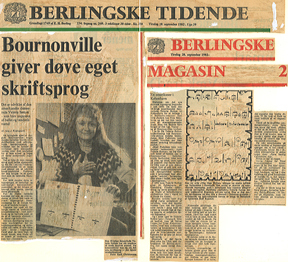 SignWriting was first developed by Valerie Sutton, an American, at the University of Copenhagen in 1974-1975, on a research project conducted by Lars von der Lieth. From 1975-1982, Valerie lived and worked in her homeland, the United States, developing and improving SignWriting, with the advice and assistance of native ASL signers. Even so, it was still Denmark that became the first country to adopt SignWriting offcially. 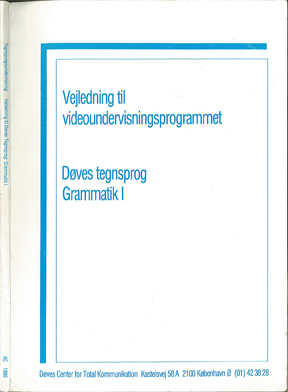 The system has been used in Deaf education and research in the Danish school system since 1982. 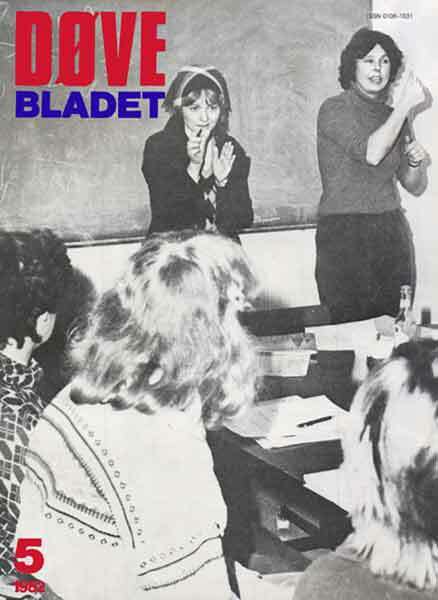 Britta Hansen, 1982 director of the Deaf Center For Total Communication (KC) in Copenhagen, was the first to support SignWriting for Deaf education. 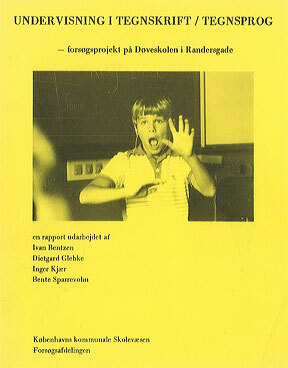 The Danish Deaf Center continues to use SignWriting to this day, in a variety of ways. 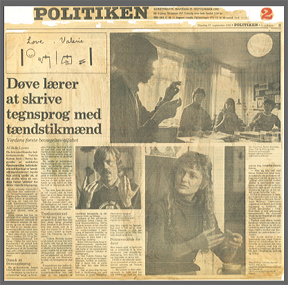 Linguist Karen Albertsen and her colleagues at the Deaf Center For Total Communication in Copenhagen, designed their own computer program on the Macintosh, using SignWriting. Called TegnBank, which means "SignBank" in Danish, the program is a linguistic data base for dictionaries of signs. 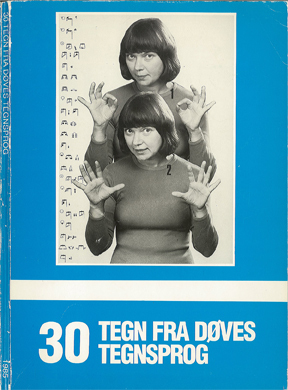 Karen and others have been building a large Danish Sign Language dictionary in SignWriting in the computer.